Discussion in 'Showroom' started by Thunder98, Feb 12, 2017. Jo3blow Keep a good heart and positive vibes only. 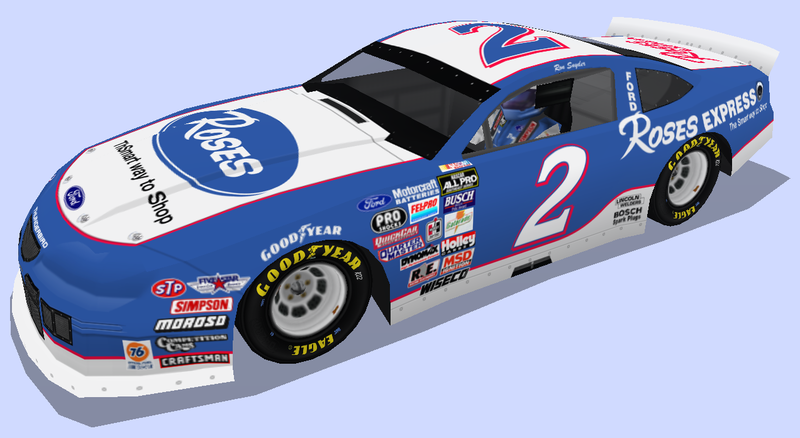 For some odd reason I had the itch to do another car from 1995 with two variations. jrracer, USSTalladega, mtblillie and 3 others like this. Someone over on Facebook asked for a logo sheet, so I made one. Please give credit if used, thank you. pshafer3327, USSTalladega, Tetronix and 2 others like this. Nice work bud! Always enjoy seeing the older car's and sponsor's. Thunder98 and mtblillie like this. Thanks! It's no surprise I've got a total bias to the 90s in a good chunk of my work. 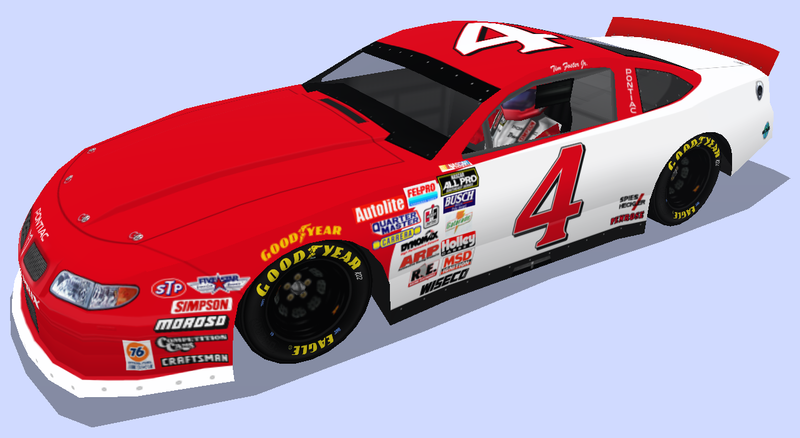 Worked on this, based on a fantasy car from NASCAR Revolution & NASCAR 2000. USSTalladega, InsideLine, canadienhits and 1 other person like this. 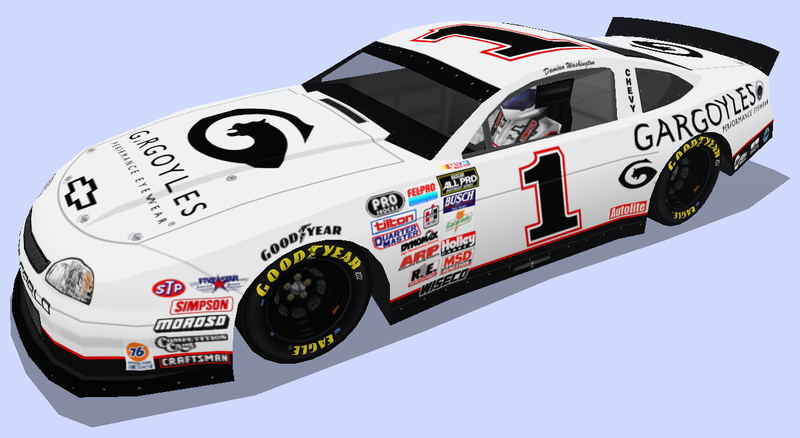 I remember a rumor from this offseason that GMS Racing acquired an old Hendrick superspeedway car, so I painted Spencer Gallagher's Xfinity scheme on a cup car. USSTalladega, pomcat, KahneRacing945 and 5 others like this. 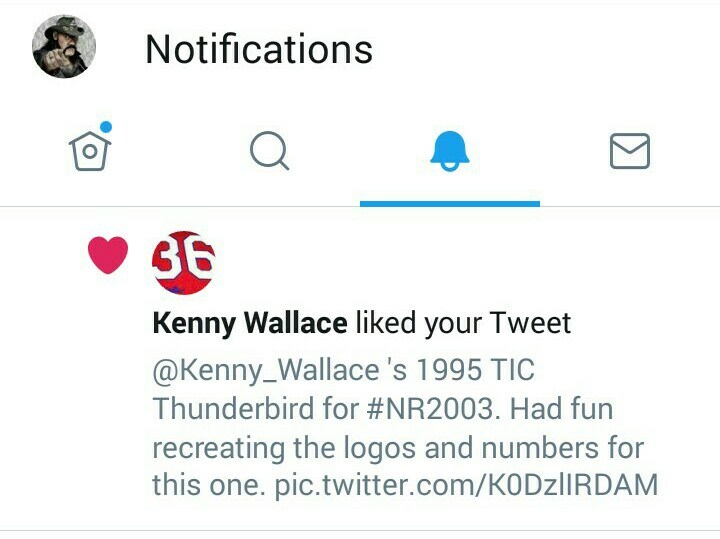 dalejr88rox, nascarfan9, theusar and 1 other person like this. InsideLine, KahneRacing945, ahspencer01 and 4 others like this. 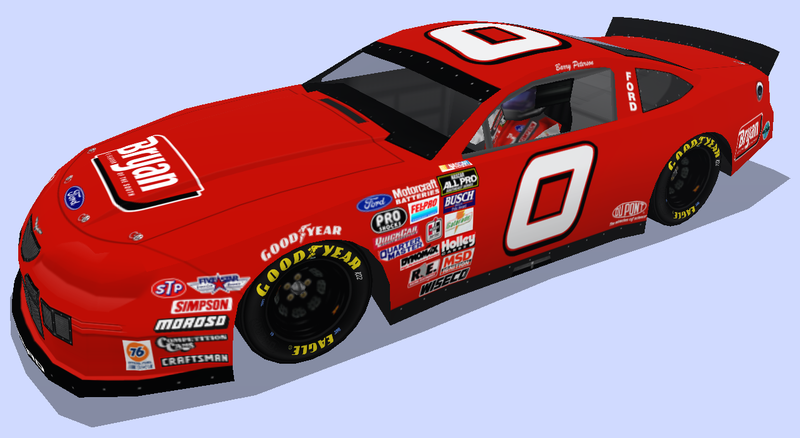 Starting a new project this summer for the seldomly-used Bullring MCLM mod; a fictional version of the Nascar Southeast Series. 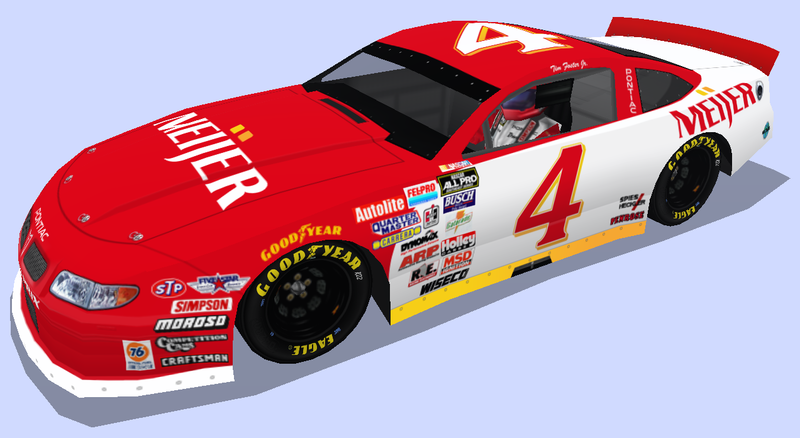 With title sponsorship from All Pro Auto Parts, this carset takes place in 1997. I'm not going hogwild on this set like I did the Diehard Touring Series set I did last year as I'm only planning roughly 32 cars. So let's get started with the first five cars. Barry Peterson has been running late models around the southeast since 1987 but without much success. Running red most of the year, Bryan Foods will sponsor the 44-year old Macon, Mississippi driver for five races. Damian Washington is one of the rising stars on the short tracks, the 22-year old defending series champion from Decatur, Alabama will be sponsored by Gargoyles Eyewear for the whole 20-race season. Following a breakout year in 1996, 29-year old Asheville, North Carolina native Ron Snyder will be sponsored by Roses. 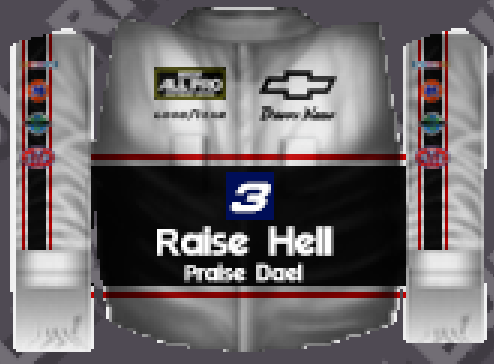 When you wanna raise hell and praise Dale, but after buying the car you blew the rest of your money on a replica firesuit... 20-year old Clyde Houston never passed the 8th grade but he'll be damned if he doesn't make it to the track on the weekends from his home in Concord, North Carolina. Louisville, Kentucky native Tim Foster Jr. has a fresh look for 1997 and hopes to attract more sponsors to keep racing. The 23-year old will be sponsored by Meijer at his home race in Louisville. USSTalladega, ahspencer01, GoRickyGo and 13 others like this. Laughed quite hard at the #3's backstory. Loving this set so far. Keep the great schemes going! BrendonH12, InsideLine and Thunder98 like this. Ooh, this looks awesome. I've always wanted to find an application for the MCLM mod but always found different things to run. Is that #2 font the one from Brian Vickers' old #25? Great stuff so far! So much so that when Clyde got the suit back he didn't even notice the typo. 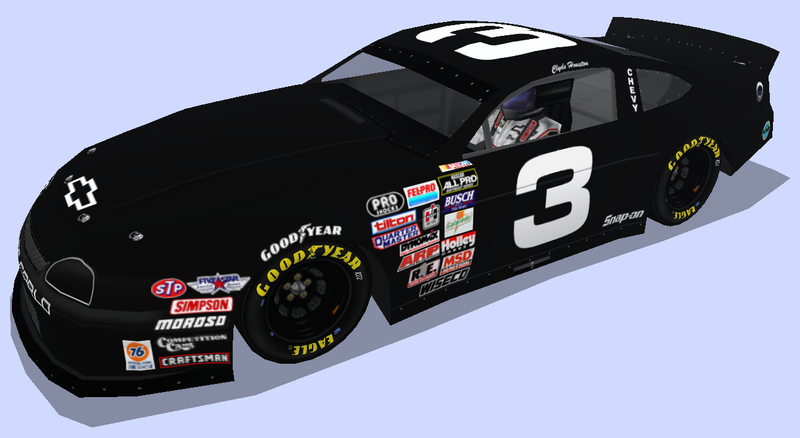 The MPB body holds a lot of potential for 90s-era late models. Learned that when I did my 1998 set on this mod a few years ago. Is that #2 font the one from Brian Vickers' old #25? USSTalladega, ahspencer01, starscream24 and 8 others like this. Looking forward to this. Your paints and carsets are always great! I'm excited to see where this goes, especially the driver backstories. BobbyRicky62 and Thunder98 like this. This looks awesome, especially the 3's background.